The constant evolution in communication technologies, has improved during the last decades the interaction between systems/devices/things/etc. Internet-of-Things (IoT) has become the last trend pushing forward in this direction, connecting all ‘things’, creating a sensing world around all of us. Although, IoT technologies, solutions, systems have to be proven/tested before deployment in the real settings. These decentralized systems normally use low power devices with small processing and storage capabilities, with roles mainly of sensing and data transmission. Until now, tests and energy simulation focus on wireless communications, since it has been identified as the main energy consuming module. 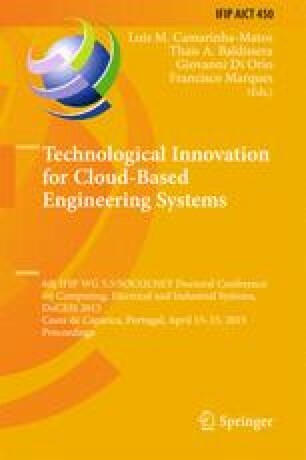 This paper presents the acquisition and simulation of energy consumption by a single device, focused on all hardware components and not only in the communication, due to the new adopted solutions that do not rely so much in the communication (e.g. subscription). In this sense, a methodology capable of retrieving real and simulated energy consumption results from/for a single device is presented, relying on a model based approach (software, hardware, energy and simulation models) and on a precise energy consumption assessment system. It is also presented a Resource Constrained Device Model, capable of representing the available hardware in a device, and a circuit to retrieve more accurate energy consumption readings.